The Yamaha CSF series brings an all-new level of sound and playability to smaller-size acoustic guitars for a totally new acoustic inspiration, wherever you play. 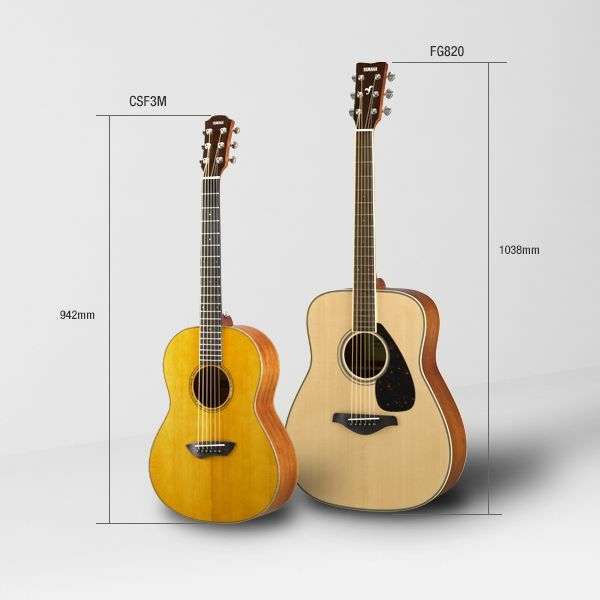 The CSF3MVN, compact folk guitar, features a solid sitka spruce top with newly designed scalloped bracing and solid mahogany back and sides. A piezo pickup ensures solid plugged-in performance too.